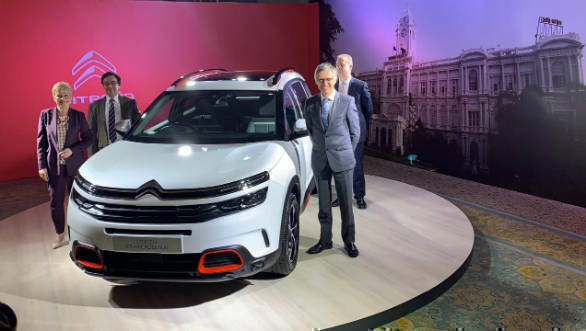 Citroen India, at its brand launch event today, announced that it will launch its first offering for India, the Citroen C5 Aircross SUV, in September 2020. This will be the first of three cars the brand launches here, one every year 2020 onwards. The other two cars for India will be the smaller C3 Aircross SUV and a new model that will make its international debut here. The C5 Aircross was chosen to be the first model, simply because it's their latest and their flagship, and they wanted to give India the best they have. In that it embodies everything Citroen stands for. Bold design, comfort tech, connectivity options etc. The C5 Aircross for India will be heavily localised. 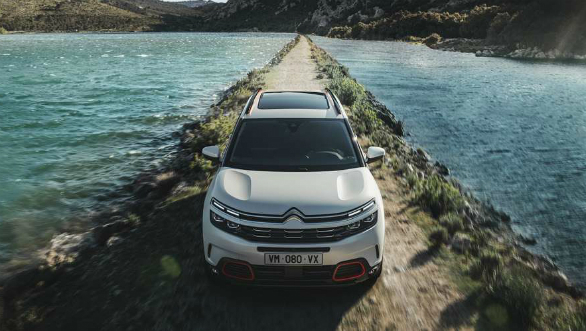 Citroen aims at 98 per cent localisation on the car parts, 90 per cent on powertrain which translates to ~95 per cent overall. Unlike many other international carmakers entering India who haven't localised engines and gearboxes, Citroen has already begun this process. 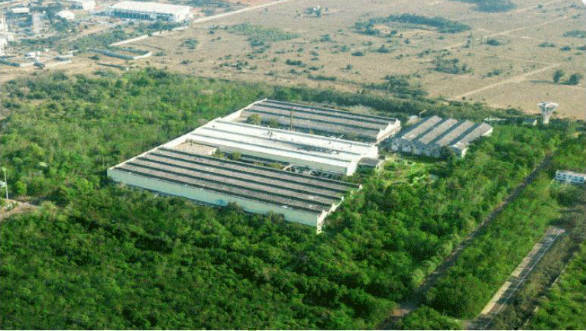 Its products will come out of a plant in Hosur which has a capacity of one lakh cars per annum. The international market C5 Aircross is rival to cars like the Hyundai Tucson and Volkswagen Tiguan. It gets a range of petrol and diesel motors with the flagship combination being a 2.0 litre 181PS/400Nm diesel mated to an eight speed auto, a setup which sounds most viable for our market. Two petrols and a smaller diesel is also available. Given the high level of localisation the brand is aiming for, we expect prices to undercut that of rivals. Expect the C5 Aircross to be priced below the 30 lakh mark. PHEV and electrified vehicles from PSA will be available globally from this year, including a hybrid version of the C5 Aircross, and will be considered for India as well, when it makes financial sense. The PSA Group is entering in partnership with the CK Birla Group. In 2017, PSA group entered into a partnership with CK Birla Group with two joint agreements. The first one is that the PSA Group will hold a majority share in a joint venture company that is being set up with Hindustan Motor Finance Corporation Limited (HMFCL), a subsidiary of the CK Birla Group. This company will handle the assembly and distribution of PSA's passenger vehicles in India. The second agreement is that the PSA Group and AVTEC Ltd (another subsidiary of the CK Birla Group) will enter a 50-50 joint venture to manufacture and supply powertrains. PSA is targeting a two per cent market share in India over the next four to five years. PSA chose Citroen over Peugeot because Citroen has a more 'stand-out' portfolio. Also, a more premium brand like Peugeot would mean they wouldn't be able to hit the core of the market. They want to be present in the relatively more mass market segments. Further, the company wants to be as profitable here, as it is in Europe. This has happened with better efficiency of processes and that is the model they will go with, within India too. PSA will make gradual investments. Scalability is the key approach for the Indian market, which some of the other European competitors haven't followed.